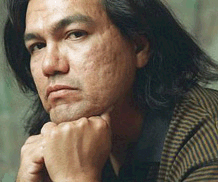 Victor Martinez, poet and fiction writer, died on February 18, 2011, of lung cancer; he was fifty-six years old. He won the 1996 National Book Award for Young People's Literature for his novel Parrot in the Oven: Mi Vida. He was born in Fresno, California to a farmworker family. His novel drew from his childhood, focused on a Central Valley boy from the projects coping with gangs, an alcoholic father, and racist classmates. But Martinez' s talents as a writer distinguished him early, gained him a room of his own among his eleven other siblings to work in, earned him a slot at California State University, Fresno through an affirmative action program, and from there, through a Stegner Fellowship, he arrived at Stanford University in 1977. Academically, Stanford University was a failure; he gave up his fellowship because he felt the teaching schedule was cutting into his writing time. 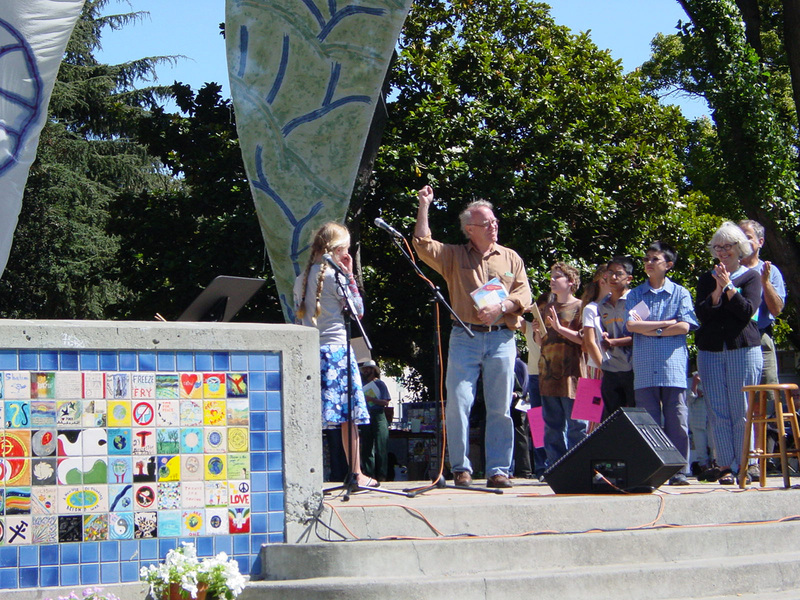 But at Stanford he fell in with a brilliant circle of young Chicano writers that included Juan Felipe Herrera, Francisco X. Alarcón, Lorna Dee Cervantes, Lucha Corpi, and many others. So, after leaving Stanford, he migrated to the Mission District in San Francisco where he, Herrera, and Alarcón became members of a Chicano poets' collective called Humanizarte and later the Chicano/Latino Writers' Center of San Francisco. He began writing book, theater, and film reviews for La Revista Literaria de El Tecolote. In 1985 he married Tina Alvarez whom he'd met at Stanford, and he created a writing life, working in the mornings and supporting his family as a welder, a truck driver, firefighter, teacher, office clerk. Martinez's life of striving and aspiration has been condensed in public memory to his one signal achievement, Parrot in the Oven. But he was a passionate poet who believed, as his brother Ramiro says, "Poetry is the essence of thinking." As the artist Jurgen Trautwein says, "He was like a chiseler," meaning a sculptor like Giacometti, whom he loved, "someone who built something up and took it down to the core, the skeleton." When people asked what he did for a living, he said he drove a truck. But he was a writer all his life, and he wanted to be thought of as an writer…writing for everyone. As recounted in the Poetry Foundation's Harriet blog, "[Parrot in the Oven] would end up on high school reading lists everywhere (while being banned by just as many) and send him to read and speak all over the country. Though even then, not everyone got his work. 'In other places, recalls Martinez's wife, Tina Alvarez, he would be introduced only to Latino students, 'He would refuse to speak unless it was to the entire class,' she says.' He would say, 'I am an American writer.'" 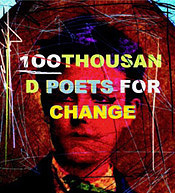 David Volpendesta is a poet who lives in San Francisco, California. He edited and co-authored, with translator Barbara Paschke, Clamor of Innocence: Stories from Central America, City Lights, and Homeless Not Helpless.